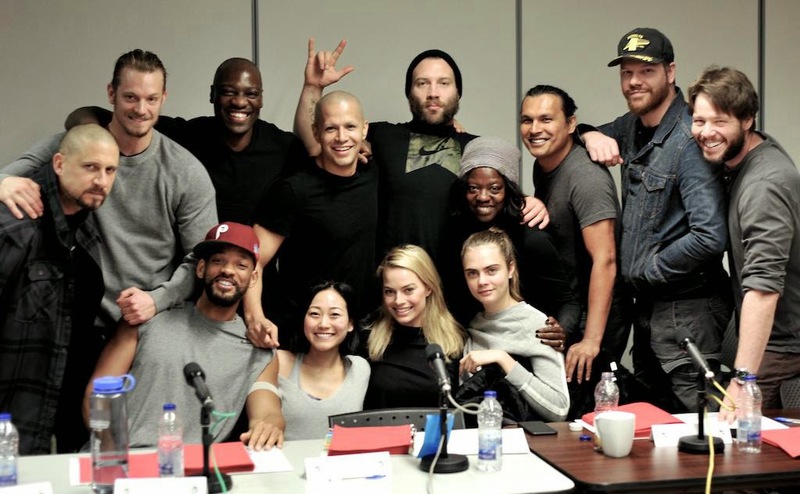 With shooting set to begin any day now on the big screen adaption of DC Comics super villain team-up, David Ayer brought together his Suicide Squad cast for a table read, tweeting a picture of the the result. And woah, this cast is big. With notable absences, namely Jared Leto (The Joker) and Scott Eastwood (Steve Trevor), and some new announcements from left to right are Ayer, Joel Kinnaman (Rick Flag), Will Smith (Deadshot), Adewale Akinnuoye-Agbaje (Killer Croc), Jay Hernandez (El Diablo), Karen Fukuhara (Plastique), Margot Robbie (Harley Quinn), Jai Courtney (Captain Boomerang), Cara Delevinge (Enchantress), Viola Davis (Amanda Waller, and the previous unannounced Adam Beach, Jim Parrack, and Ike Barinholtz (according to Latino Review, but still unconfirmed, they are playing Ravan, Deathstroke, and Hugo Strange, respectively). Suicide Squad hits our screens August 5th 2016.